Evoke Media Services is a Film Production and Post Production house with facilities like Editing, Dubbing, Sound Design, Audio Mixing & Color Correction. Evoke Media Services is a studio engaged in the business of Production and post production of films and videos since past decade. 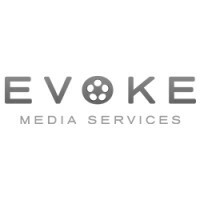 Evoke Media Services has rendered services to over 300 movies till date in various departments like Editing, Dubbing, Sound Recording, Sound Effects, Surround Mixing, Colour Correction, etc. The firm is also engaged in the digital content creation for various channels on the digital platform. In the immediate future digital content creation will be most in demand and the hunger to feed various digital channels would be insatiable.